Podcastpedia.org is an ads-free podcast directory and, with the motto is all about “Educating oneself “ with selected podcasts from various domains such as science, technology, education, medicine, people, environment, spirituality and much more. 1. 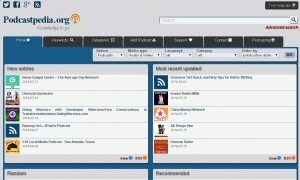 At the website homepage, click on “Add podcast”. 3. Choose your category of podcast. 4. Type the captcha code correctly and click “Recommend”.